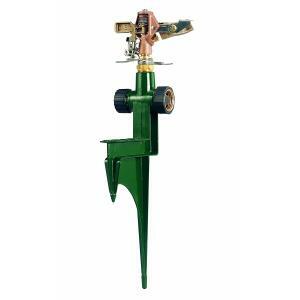 Orbit is a name we can trust to provide reliable products like this brass impact sprinkler on a heavy duty step stake. Features a large coverage area, up to 90'. Can use as a single sprinkler or connect several together with the flow through stake feature. Adjustable from part to full circle.